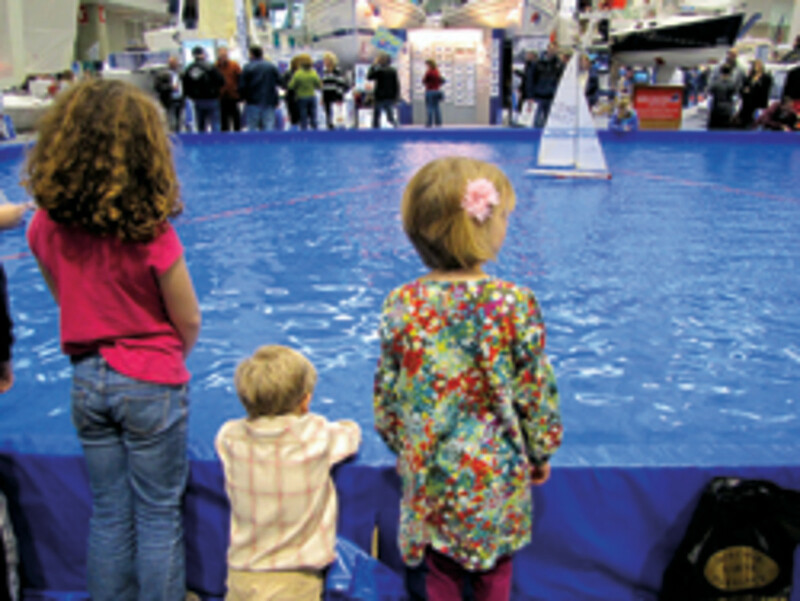 The Progressive Insurance New England Boat Show garnered rave reviews on the venue — the Boston Convention and Exhibition Center — solid reviews on the crowds and lousy reviews on the weather. 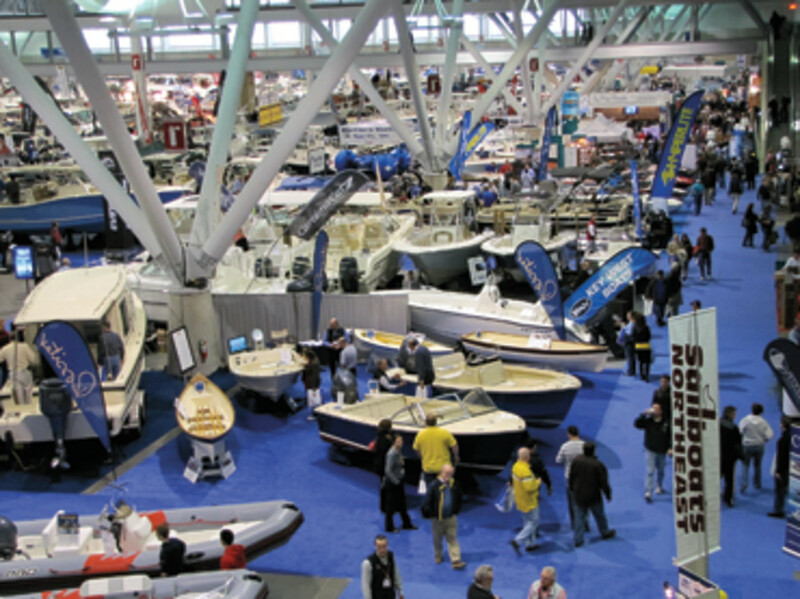 Despite snowstorms that struck during the first weekend, the Feb. 16-24 show, which is owned by the National Marine Manufacturers Association, attracted 43,389 visitors, compared with 44,051 in 2012. Attendance on the first Sunday — typically a big selling day — was off about 40 percent because of the weather, so the fact that overall attendance was relatively flat was a positive thing, says NMMA New England Boat Show manager Joe O’Neal. “Many exhibitors reported solid sales and seeing quality buyers in attendance throughout the show,” says NMMA spokeswoman Sarah Ryser. O’Neal thinks New England benefits from the fact that real estate values didn’t plunge as steeply as they did in other regions. “Selling prices are firmly up, our unemployment has never been as high as the rest of the country, so if people are feeling good about their house and their job, it doesn’t matter what’s going on in Washington. They’re concerned with what’s going on in their own home,” he says. Exhibitor space was sold out a month before the show opened, with 401 exhibitors lined up to display in the Boston area’s largest show, O’Neal says. That was an 8 percent increase from the 372 who participated last year. This year, the show used 364,000 of the exhibit hall’s 516,000 square feet, the same as last year, but more than it had in 2011. During the last few years the show has broadened its audience well beyond its core market of Greater Boston and Cape Cod to attract exhibitors from Maine, Rhode Island and Connecticut. Bryant Boats also reported a stronger second weekend. “Today’s been the day,” Bryant Boats customer service manager Ron Bibee said on the second Saturday, one day shy of closing. “We’ve gotten money down on three or four boats and have plenty of solid leads.” It seemed to Bibee that bigger boats were selling better than smaller boats this year. James Milne, a Grady-White dealer with Baert Marine, says the show exceeded expectations. “We are doing deals and getting quality leads,” he says. “It’s nice to see this show has grown again, and it’s nice to see all the new, innovative product,” says Parker Boats founder Linwood Parker. Attendance was good at all 17 shows at which the brand exhibits. “The reports we’ve been getting are that traffic is not back, but it’s coming back. Sales are improving gradually.” The “value brands” have seen the biggest increase, but Parker, who launched the brand 33 years ago, says Parkers have been selling at every site, including Boston. Like many, Fagan thinks part of the appeal is the condition of the Boston Convention and Exhibition Center, where 40-foot ceilings allow for sailboat builders to participate. Numerous large windows allow for natural light to accompany the showroom lights. Glass skybridges span the exhibit floor for easy point-to-point movement, offering a bird’s-eye view of the exhibit hall, as do the panoramic windows in the food court. “A lot of venues are so run-down, and this venue is amazing,” Fagan says. Whether the show should coincide with the local school vacation week is always a topic of debate. “This year, the show was scheduled during winter break, and a lot of our customers take their kids to Disney or skiing,” Orlando says. Next year, the show will not be held during the vacation week. It will take place Feb. 22-March 3, show manager O’Neal says. Although they often debate whether holding the nine-day show concurrently with the vacation week is a positive or negative, many dealers agree that they might lose opportunities because at least some of the boat-buying clientele is out of town when the kids are out of school.